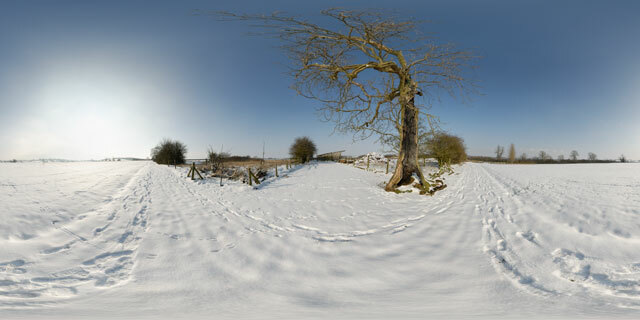 360° VR panorama of tracks through the snow past a hollow tree, between the villages of Lubenham and East Farndon, England. As well as the tracks left by walkers, there are lots of rabbits tracks left in the snow. Beyond the dead tree there is a snow covered manure heap, and a farm building.